The Bandicoots Play Project CIC in Margate, Kent, has been awarded £10,000 by the National Lottery. 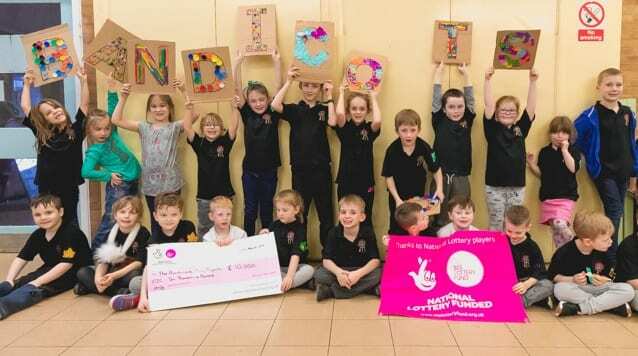 The community-driven, volunteer-led project, which provides weekly play opportunities for any child aged 5 – 8 years, has been recognised for their contribution to the community and awarded the grant to continue to expand the project. Opening its door in February 2017, The Bandicoots Play Project CIC has worked with nearly 200 children to provide nature-themed play opportunities in the heart of Margate. Working to ‘Create Communities of Play’, the project has a dedicated team of volunteer Play Rangers who support children to access free play opportunities, learn to take appropriate risks through adventurous play and help children create positive self-identities through encouragement and nurture. The £10,000 grant will go towards providing a greater range of play opportunities, including an expanded loose parts play area and woodwork, as well as many other exciting play experiences. The project is always expanding and welcoming new Play Rangers and children, so if you would like to find out more or want to join, please contact The Bandicoots Play Project CIC through its Facebook page, email: themargatebandicoots@yahoo.com or watch out for its brand new website going live at the end of April. Thank you, Bandicoots for sending us your fantastic press release! Congratulations! We are absolutely delighted for you and look forward to watching you go from strength-to-strength. Your play sessions look like terrific fun and you’re in the heart of Margate, how marvellous! We’re sure Dave and Eddie will pop in to see you all soon and learn about what you’re doing! If you have good news that you’d like to share with the world, please email it across to editor@educational-life.org with any photographs and permission to share. We only publish good news because we like to celebrate the excellent work taking place around us.